Buy More Save More Orders with the same product color and personalized imprint qualify for quantity discounts. Please use a desktop or laptop device for a better experience creating and reviewing SmileMakers custom items. 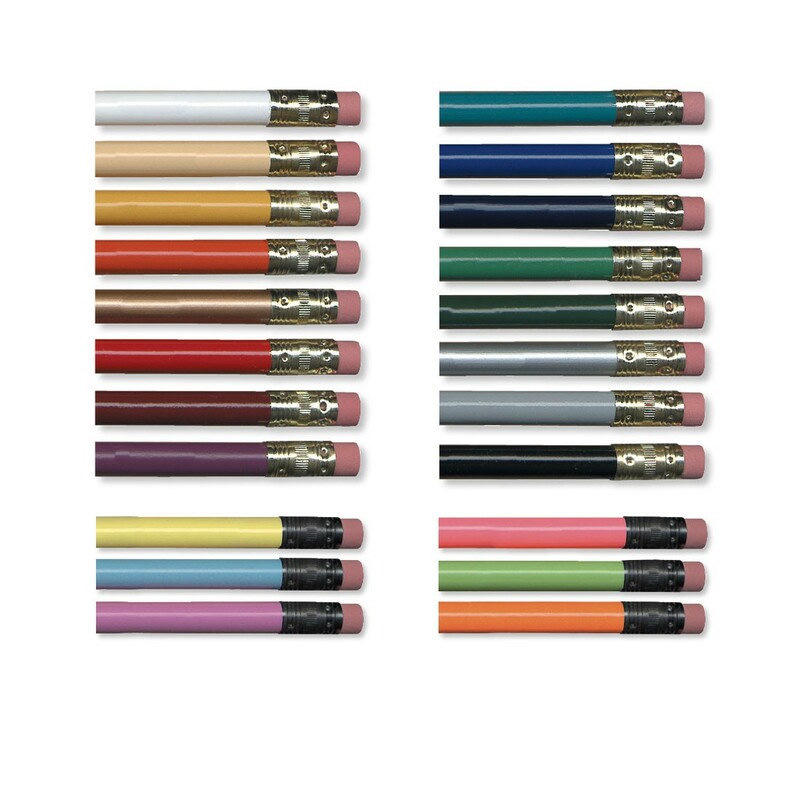 We have 27 logos and 30 pencil colors to choose from! Choose your color, logo, imprint message and decide on your message! Minimum order: 3 units. Imprint area is 3/4" x 3"
Choose from the available product colors: White, Cream, Yellow, Orange, Gold, Red, Burgundy, Purple, Teal, Blue, Dark Blue, Green, Dark Green, Silver, Gray, Black, Neon Yellow, Light Purple, Light Green, Light Blue, Neon Pink, Neon Orange. Choose from these available imprint colors: black, blue, gold, green, red, white. Imprint is in one color. Add a stock logo or your own logo for free! Ships within 1-2 weeks. Please allow time for delivery.